Large numbers like these in crash injury and fatality statistics can be unnerving when most adults depend on driving a motor vehicle to transport them to work, school, and recreation. No one wants to be involved in a car crash and suffer serious injuries or lose a loved one. After a car crash there are medical expenses, lost time from work, property damage, and other expenses. When you are injured and inconvenienced because of someone else’s negligence, you can rely on the trusted services of a skilled Charlotte car accident attorney from Warren & Kallianos, PLLC to represent your interests. The dedicated Charlotte car accident lawyers at Warren & Kallianos, PLLC, have spent years helping people recover maximum compensation after all types of car accidents. Throughout our extensive legal careers, our attorneys have built up vast knowledge of the auto insurance industry and a large pool of resources to identify what causes crashes and who should be held liable. Millions of Americans rely on cars for transportation, and with those millions of vehicles on the roads, there is an ever-increasing car crash rate. The National Highway Transportation Safety Administration (NHTSA) reports that 37,461 people were killed in traffic fatalities on U.S. roads in 2016, which is up 5.6% over the previous year. The North Carolina Department of Transportation reports that in 2016, 1,441 people were killed in traffic crashes and 130,137 people were injured on North Carolina roadways, which was up 4.4% from the year before. Rear-end crashes are one of the most common types of auto accidents. They can be caused when a careless driver doesn’t notice a slowing or stopped vehicle up ahead, or when a driver must suddenly slam on the brakes and gets hit from behind. These can be complicated when the force of the back vehicle pushes the front vehicle into a third car, causing additional damage. Head-on collisions can lead to extremely serious injuries for both drivers and passengers because the impact of the crash is so severe. These types of crashes may occur when a driver accidentally swerves into oncoming traffic, or when a negligent or distracted driver goes the wrong way on a one-way street or interstate ramp. Side-impact (or T-bone) collisions generally happen at intersections because a driver failed to yield or recklessly ran a red light. In these situations, the reckless driver may slam into a vehicle that is rightly crossing the intersection, or the dangerous driver could be hit by someone who has the right of way and couldn’t stop in time. Sideswipe crashes can happen when a driver in one lane is distracted and drifts over the line, hitting the vehicle in the next lane. This can be extremely dangerous when it causes a chain reaction, knocking one car into another, or when a motorcyclist is sideswiped and thrown from the bike. Rollover accidents are not as common as rear-end, head-on, and side crashes, but they are much more likely to result in death. Vehicles like trucks, vans and SUVs ─ with higher centers of gravity ─ are more likely to be involved in rollover crashes. Single-vehicle crashes happen when drivers hit stationary objects such as power poles, animals, or ─ in the worst-case scenarios ─ pedestrians or bicyclists. Multi-vehicle pile-ups can be extremely dangerous and complicated. Especially on interstates, where vehicles are traveling at high speeds, these pile-ups can result in massive injuries and fatalities. Unfortunately, many car accidents in North Carolina are caused by negligence on the part of a driver or another party. 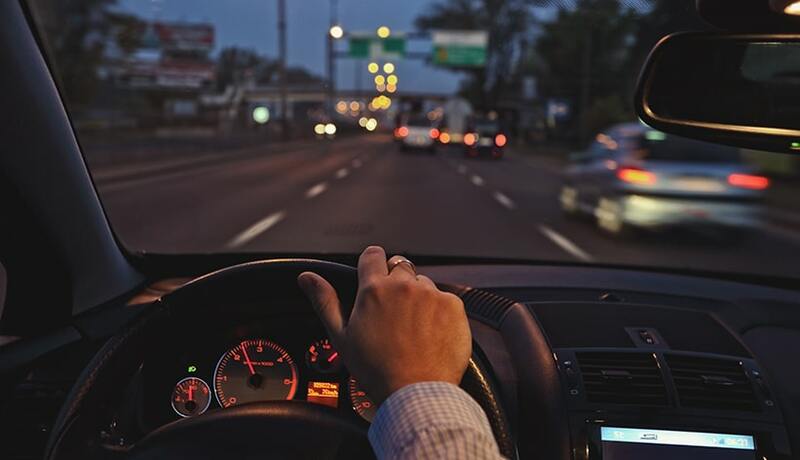 Driving Under the Influence of Drugs or Alcohol: Drunk drivers are responsible for one out of every three auto accidents in North Carolina, the National Highway Traffic Safety Administration reports. People who drive while under the influence of drugs or alcohol are a danger to everyone on the road, and they should be held accountable for their reckless behavior. Even if a driver is facing criminal charges after a DUI crash, you can still pursue compensation with the help of a skilled car accident lawyer. Distracted Driving: When people take their eyes off the road, even for a second, the results can be tragic. Drivers who text, talk on the phone, eat and drink in the car, or get caught up in conversations with passengers risk causing serious injuries to others and themselves. Speeding: Drivers who are in a rush or are just being reckless by going above the posted speed limit pose a serious threat. In addition, drivers can be held liable for driving too fast for conditions, even if they were not exceeding the posted speed limit. Situations that may require drivers to slow down include bad weather, congestion, unsafe road conditions, and low visibility. Aggressive Driving or Road Rage: Drivers who lose their cool may act aggressively by tailgating, cutting off other vehicles, or weaving in and out of lanes with little regard for safety. They may target one specific driver or act out in general ─ either way, they are a danger to everyone. Driving in a Construction Zone: When a road or interstate is under construction, drivers must take extra precautions to avoid accidents. Construction equipment may pose a hazard, the area may not be well marked, or other drivers may be going too fast. Negligence in a construction zone can put drivers and workers at serious risk of injury. Defective Auto Parts or Equipment: Sometimes, drivers aren’t the ones to blame for accidents. Instead, defective parts or system failures in cars can lead to severe accidents. When a dangerous auto part causes a crash, the manufacturer or anyone in the distribution chain could be held accountable for the resulting injuries. It’s frustrating to think that so many accidents and injuries could have been prevented. In North Carolina, it can be even more frustrating to find out how contributory negligence law could affect your case. This law indicates that if you contributed in any way to your accident, even if the other driver was mostly at fault, you may not recover compensation. If you lost a loved one in a catastrophic car accident, you may be entitled to recover compensation through a wrongful death claim. $4,500,000 settlement for a client whose wife and unborn baby were killed when a dump truck hit their vehicle head-on. $2,500,000 settlement for a pedestrian who suffered severe injuries when he was hit by a drunk driver at a crosswalk. $1,600,000 settlement for a client who suffered a serious hip injury during a head-on collision with a semi-truck. We have secured full and fair car accident verdicts and settlements for people who were seriously hurt in crashes throughout the Charlotte area and across North Carolina. With a long track record of success, our skilled litigators have been listed in Super Lawyers and Best Lawyers in America, and we have been named to the Million Dollar Advocates Forum and the Top 100 Trial Lawyers in North Carolina. Insurance companies will try to make you feel like you can negotiate a settlement on your own, but the truth is, they have teams of lawyers working on their side. And they want to pay you as little as possible to protect their profits. At Warren & Kallianos, we are sensitive to the fact that many people worry that they can’t afford attorneys’ fees. That’s why we do not charge anything to get started on your case, and we don’t collect legal fees unless and until we win compensation for you. Every case we take is unique, and there is no guarantee of recovery in any one case. But one thing is constant: we will always fight tirelessly for the full and fair compensation you deserve. To schedule a free case consultation, you may call 704-275-5593 or contact our office today.